A psychadelic-funk album drenched in interesting instrumental layering and thoughtful lyrics. 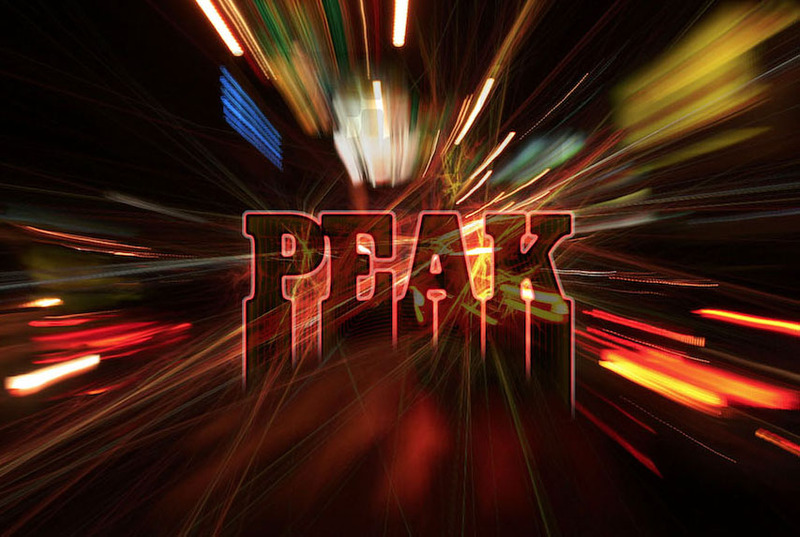 PEAK combine the characteristic flair that a weathered live band brings to the table, along with the instrumental prowess and focus needed to capitalize on recording a studio album with an all-star engineer. Produced by Dave Brandwein (Turkuaz), this thirteen-track epic is aptly named Electric Bouquet for its variety of styles and poetic narrative arc. Vocalist and guitarist Jeremy Hilliard weaves a tale of existential breakdown and regrowth of a relatable narrator. Packaged along with a stellar instrumental backdrop, this album checks the necessary boxes for a song cycle washed in arresting psychedelic musings and jams. The band consists of singer-songwriter and guitarist Jeremy Hilliard, percussionist Dale Paddyfote, bass player Eric Thachuk, and organ/keys player Otis Williams. This album offers a staple sound that PEAK can use to differentiate themselves from an ever-growing list of funk/rock bands. Electric Bouquet highlights many aspects of the band’s dynamic approach to songwriting; from the poetic use of narrative to the transitions between songs that create the flow and feel of the album as a whole. From funk, to psychedelia, to folk, Hilliard is deft in his writing and grouping of the songs. 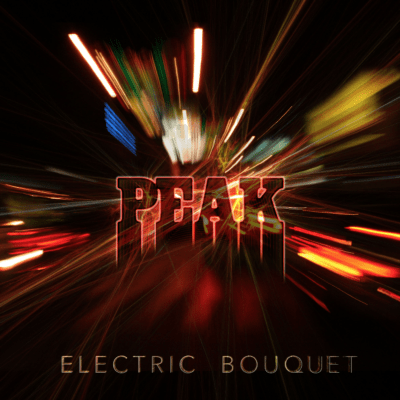 The first track, “Barometric Pressure (Here Comes The Rain)” starts off with a heavy hand alongside a drum and bass groove akin to Bowie’s “Let’s Dance.” PEAK wears their funk influence on their sleeve for much of this album, showcasing the ability of the band to lock in on a groove and develop its melodic nuances until the song “peaks” (no pun intended), often with a grand guitar solo. Many of the tracks are built around a bit of a blank canvas that the group paints with aesthetic guitar layering, big Bonham-like drums, and new interesting rhythmic features (like the congas in track 11 “Nothing New Under the Sun”). Thachuk (bass) and Paddyfote (drums) have great chemistry throughout, matching the bass and drum parts to give each song a strong backbone while organist Williams brings color and flavor to the instrumentals, yielding room for Hilliard’s full-toned guitar solos to blast through the mix. As the album progresses, there’s a feeling of resolve in the lyrics with an emphasis on coming to grips with the predictable yet arduous nature of life and growing up. It feels like a coming of age story, referencing passing time and transitions from night to day, while simultaneously showing present growth of the narrator. Thematically, the album stays interesting. Instrumentally, the album not only conserves its appeal throughout while taking the listener on a psychedelic funk rock adventure, but also develops and changes as the songs roll on. There’s a gradual departure from the darker and heavier type of psychedelia early on (“Win Some, Lose Some”, “On the Grind”), to a more Grateful Dead or The Band folk rock/Americana feel (“Ballad of Wiley Jones”, “Mama’s Got A Lot of Love”). I would absolutely recommend giving this album a listen. From the production, to the actual performance of each song, it was a treat to look at each one of these baker’s dozens of tunes.